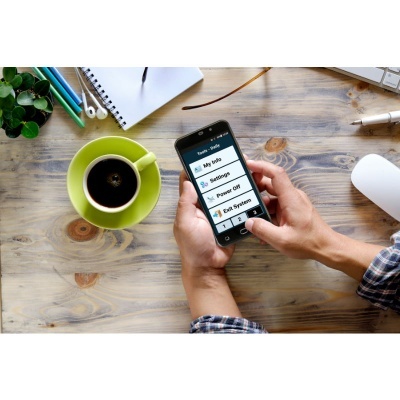 Modern smartphones and mobile phone devices can be difficult to operate for the elderly, the visually impaired, and people with hearing difficulties. 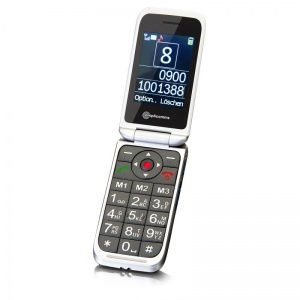 The Amplicomms PowerTel M9500 Senior Smartphone Mobile Phone provides a higher screen resolution, louder volume settings, and hearing aid compatibility M4/T4. 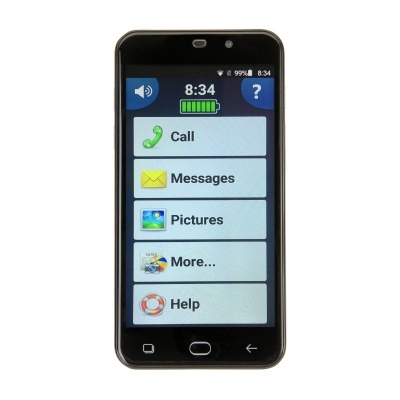 Designed for use by the elderly, the Senior Smartphone has a simplified Android interface with a larger font size that makes text easier to read. 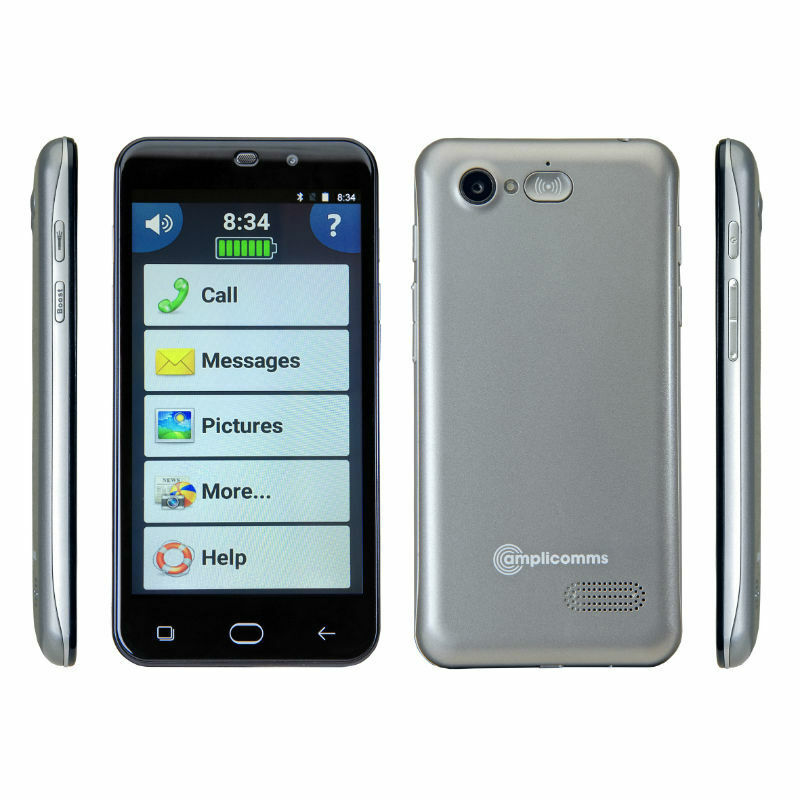 The 5" high-resolution LCD colour display provides a brighter screen that can help those with visual impairments experience similar content provided by other smartphones. Mobile technology that relies on keypads and other accessories can be cumbersome to use. The M9500 has a multi-touch screen, which means that tapping on the screen with the end of a finger is all that is required to launch apps, make telephone calls, and browse the phone's other features. With an extra-loud ringtone that can be increased to up to approximately 90dB and a handset volume of up to 40dB, the PowerTel M9500 ensures that making and receiving phone calls is a seamless process for the hard of hearing. It also comes with two noise-reduction microphones that eliminate unwanted background noise. The phone also has hearing aid compatibility M4/T4 to help provide a more user-friendly experience for those with hearing difficulties. 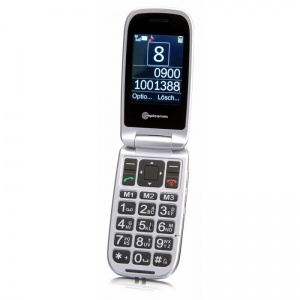 The phone can also be set to vibrate for incoming calls. The Amplicomms PowerTel M9500 provides an SOS service, which means that it is possible to telephone the emergency services during a crisis even if mobile phone signal is lost. This can be vital for anybody at risk of vulnerability, including those with hearing and visual difficulties who may need extra support. The smartphone operates AGPS (Assisted GPS), which provides assistance in finding locations. This can be a useful tool for anybody who needs help with directions, reducing the stress of visiting unfamiliar places. The PowerTel M9500 has two build-in cameras, with a 2 megapixel front-facing camera and an 8 megapixel rear camera, which are perfect for capturing those special moments. You can also insert an SD card of up to 32G (not included) to increase the smartphone's storage capacity. Other benefits include the ability to listen to FM radio, a headset socket compatible with a 3.5mm jack, WiFi connectivity, and Bluetooth that enables easy sharing of data with other devices.